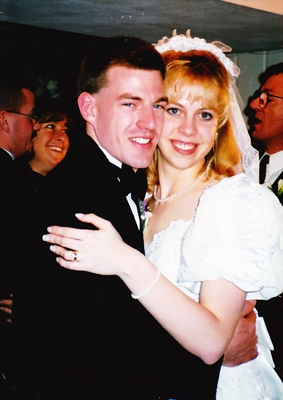 Fifteen years ago yesterday my best friend, my husband, and the love of my life lost his battle with cancer. It’s crazy that it’s been so long yet it still feels like yesterday. He will always be in my heart and in my thoughts. I’ve never found a love like his again and probably never will. Cherish those you love and make sure you always tell them and show them how much they mean to you. You never know when it will be your last time.